"Setting The Standard in Legal Support Services"
For over 30 years, NATIONWIDE PROCESS has been and continues to be the leader in legal support services to the legal community in Oregon. 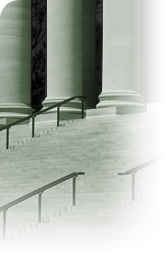 Our Executive and Management teams have combined experience of over 150 years to the legal service community. Nationwide Process continues to be the unparalleled legal resource with an ultimate "can do" attitude for Oregon Law firms in the area of Process Service, Court Filing, Document Retrieval, Foreclosure Sales, Alternative Service Methods and Expert Service assistance. No other service agency in Oregon has the level of experience and offers such an extensive and comprehensive range of services to Oregon law firms than NATIONWIDE PROCESS SERVICE, INC. Whether you need service here in Portland, Bend, Medford, New York or Hong Kong we simply are "Anywhere You Need Us To Be."